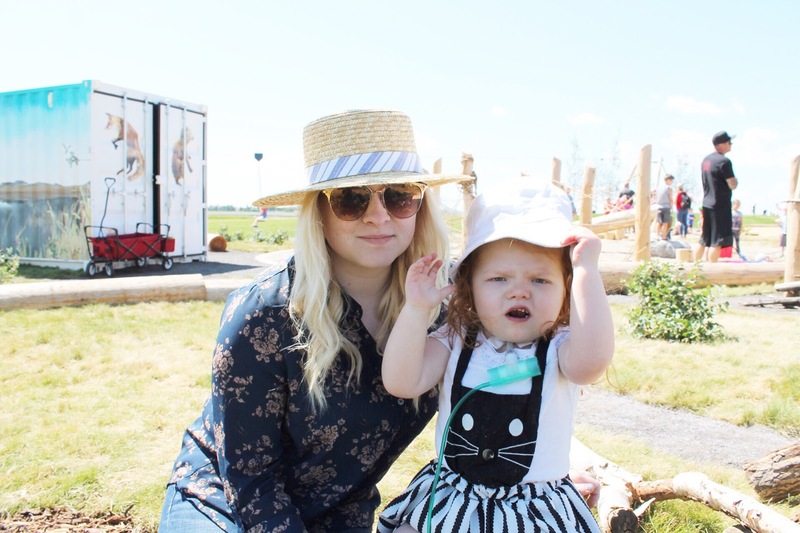 This summer, our little family has been trying to make the most of the few warm months we actually get here in Calgary that’s being cut even shorter with Evanna’s upcoming surgery + hospital admission in just a few week’s time. 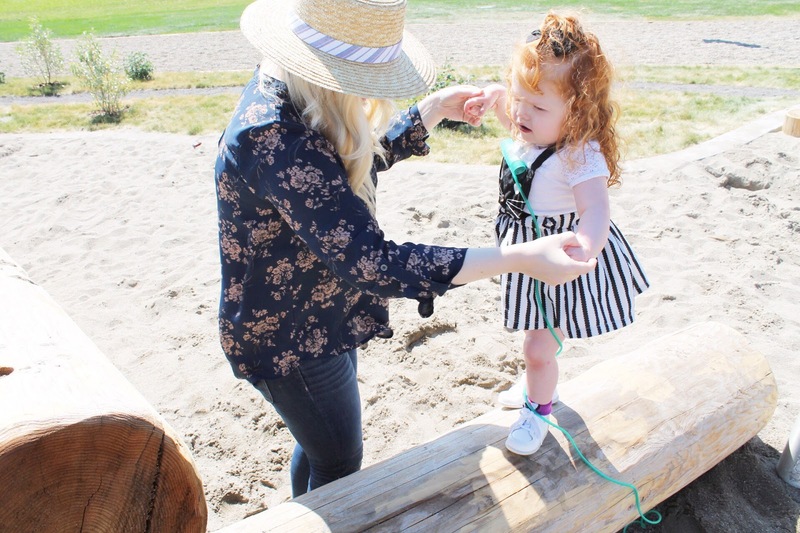 For the first time, Evanna is somewhat enjoying being outside (she only “tolerated” it last year lol) and finally wanting to explore places outside the four walls of our home – so we’ve been on the hunt for different parks around the city of Calgary. 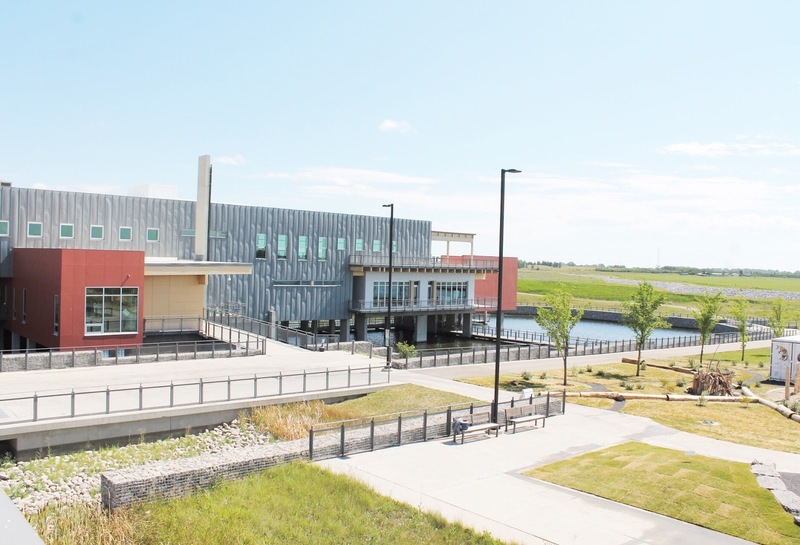 Well not far from our house, located on the east side of Stoney Trail is the new Ralph Klein Park (okay, so though it’s actually been around for several years, it still seems new to me! 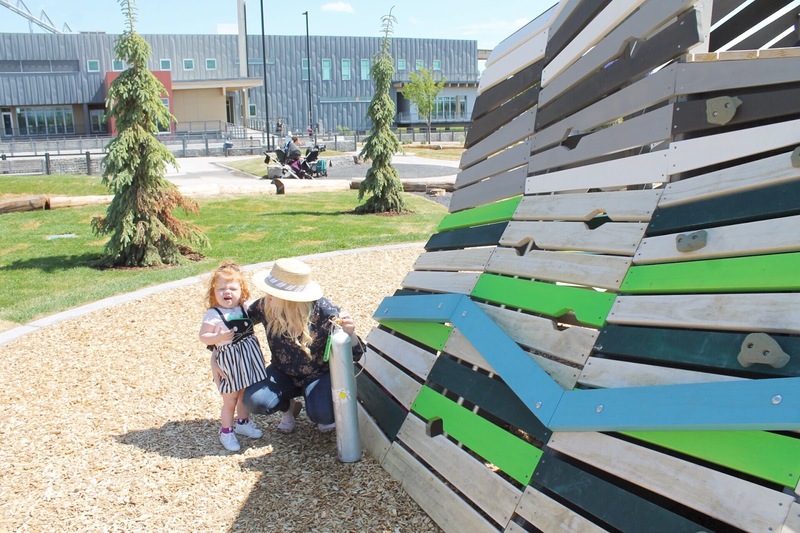 ), and just last week TD Bank Group -- along with the City of Calgary, opened up its new natural playground there as a part of their commitment to revitalize over 150 community green spaces across Canada, in celebration of our country’s 150th birthday last year. This commitment now lives on through TD’s new platform, The Ready Commitment, which helps improve the quality of our environment to create a more inclusive, sustainable future. 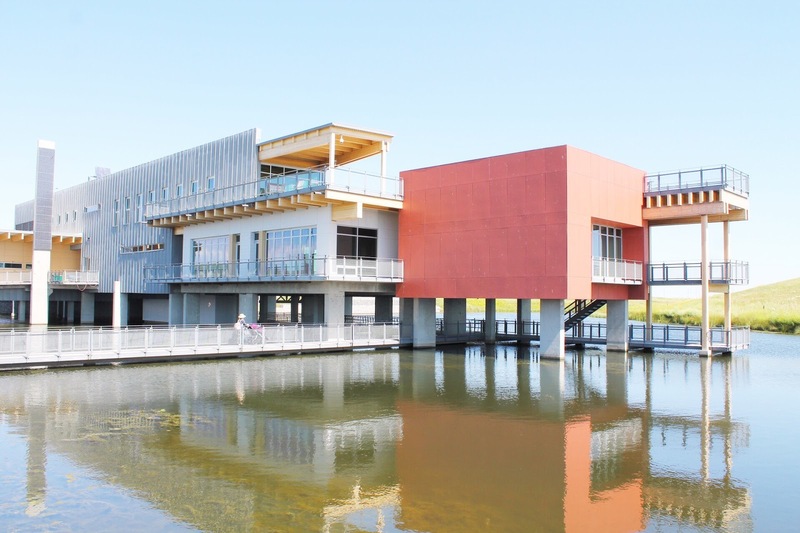 When we first arrived at Ralph Klein Park, Nick and I were initially taken back by the beauty and cool facilities of this man-made wetland that we really didn’t know existed til’ now (especially when I basically drive past it often when I’m headed to work). 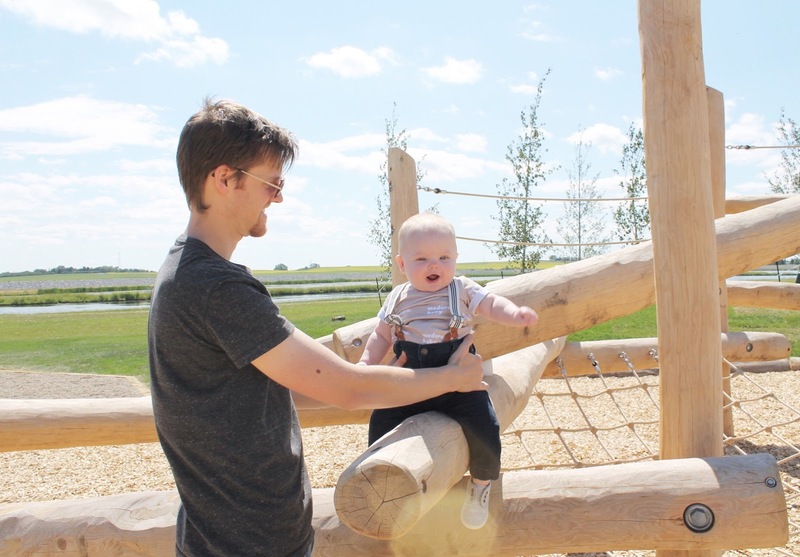 Nick’s first reaction walking towards the playground was stating that his dad would probably love to come and do a little bird watching (as there were noticeably a lot of birds flying around), while I too thought my sister and her kids would find it a pretty neat place to explore. 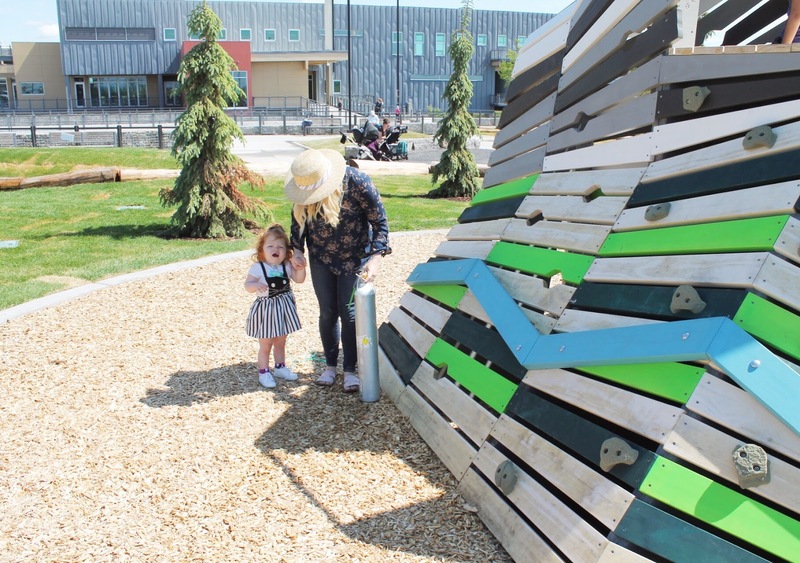 What’s immediately noticeable is just how different and unique this park is compared to your generic neighbourhood parks. 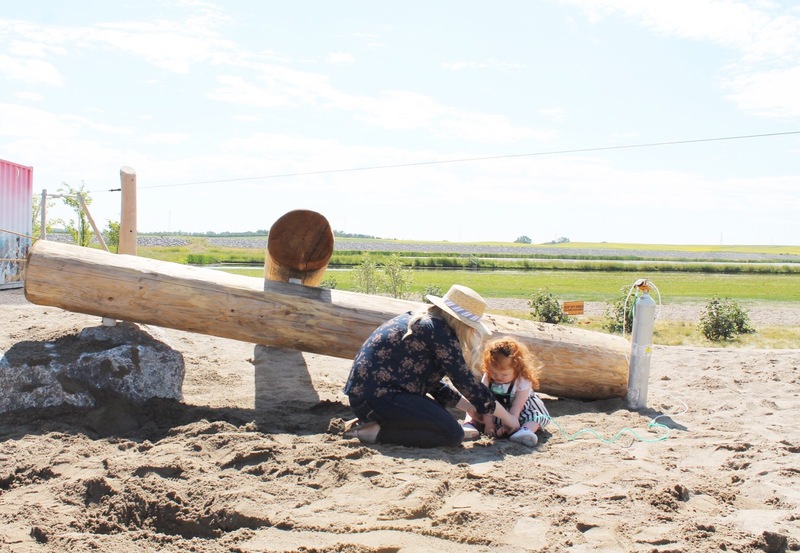 Basically, all the structures and play structures were made of wood and logs. There were several sandy areas to play in and this awesome zipline that seemed to be the most popular -- as there was pretty much always a little lineup to ride it (though, to be fair, we were indeed at the playground’s opening, so attendance will probably be significantly less on your average day lol). 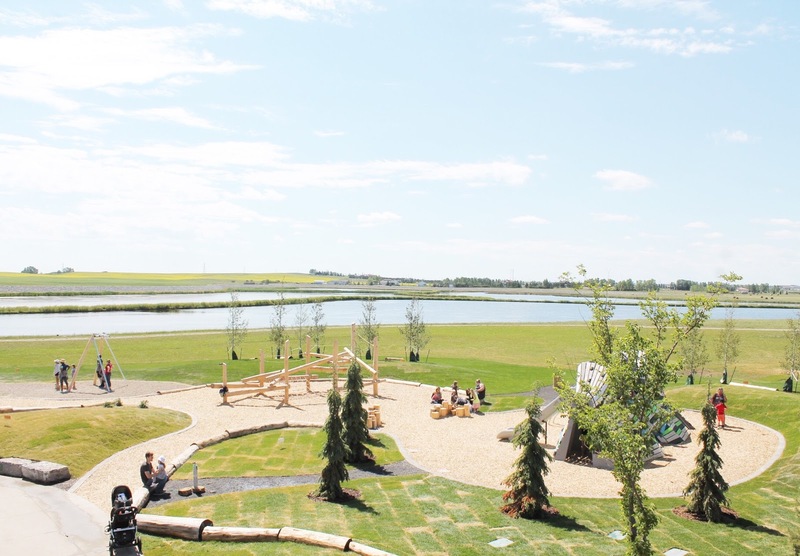 As someone who’s always in search of beautiful views, I was absolutely smitten with the 360 degree prairie scenery that surrounded the playground. Then being July, one of my favourite sights of Alberta summers is the endless yellow canola fields, and they were definitely in full bloom just on the east side of the park. There’s a massive green space (perhaps great for a casual game of soccer?) directly south of the playground that’s populated with several picnic tables that many parents enjoyed sitting and watching their children play from, as well as several benches placed all around the playground itself. 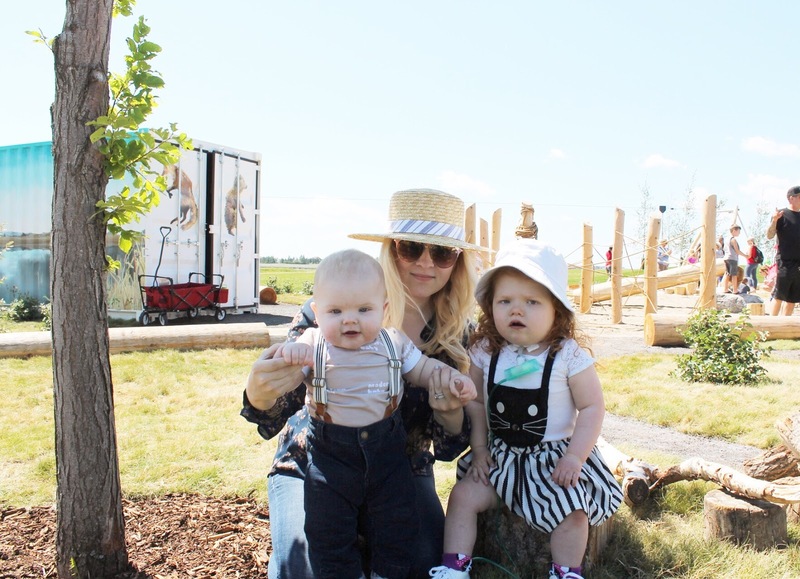 For my fellow special needs mamas, while the Environmental Education Centre and surrounding area seemed pretty accessible (with our stroller), I honestly don’t think the playground itself has much to offer for those whose children have mobility issues and rely on strollers or wheelchairs to get around. That said, I felt it did contain a number of sensory and physical therapy activities that provided many other wonderful benefits. 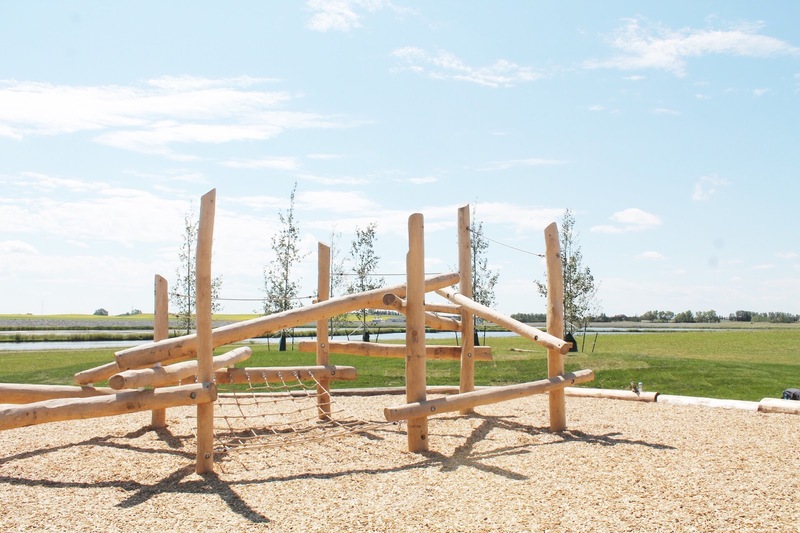 From building sand creations or unique structures with rope and small log pieces that are scattered all over the playground, to climbing + balancing on the log beams that provide for some great physical exercises. 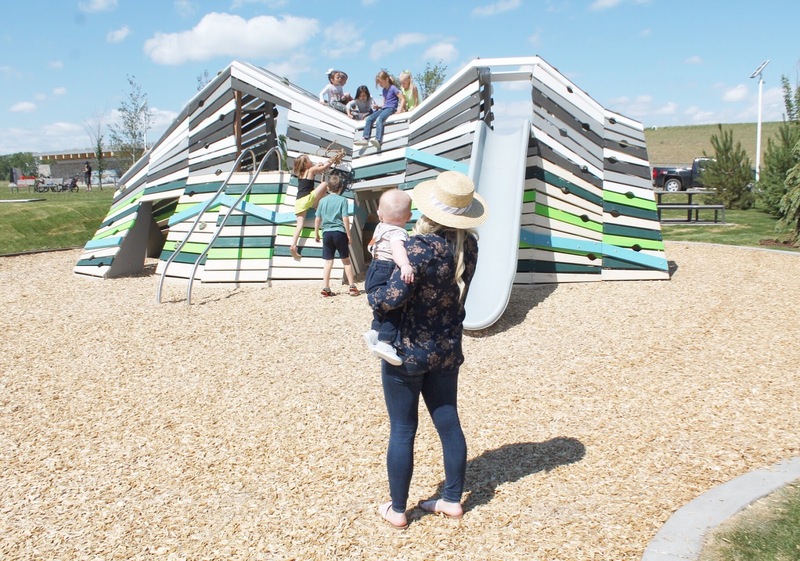 The “mountain structure” contained rock climbing elements and secret hideaway spaces, and really provides a great place for kids to burn off some energy! 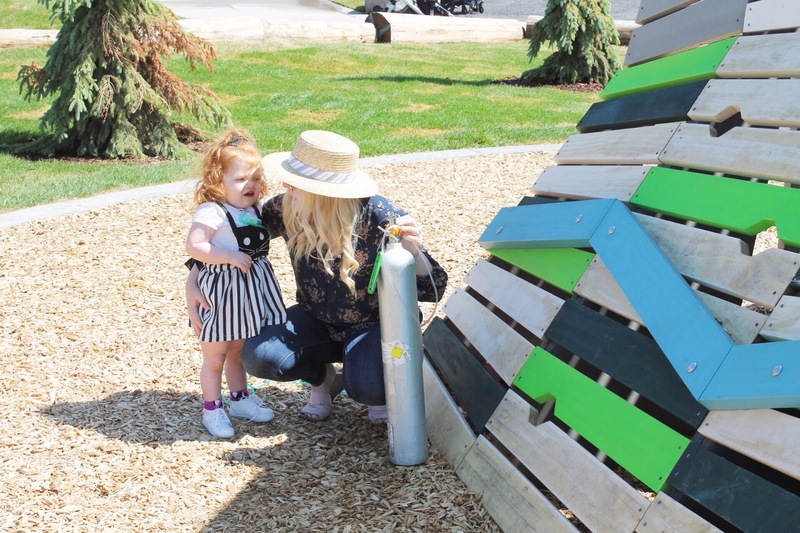 Overall, I think young families with children aged 3 to 12 will enjoy and benefit from the natural playground the most due to the unique development and learning activities it hosts, while the size of playground and adjacent green space could easily cater to large family get-togethers (you can even book it for birthday parties) and big group gatherings. 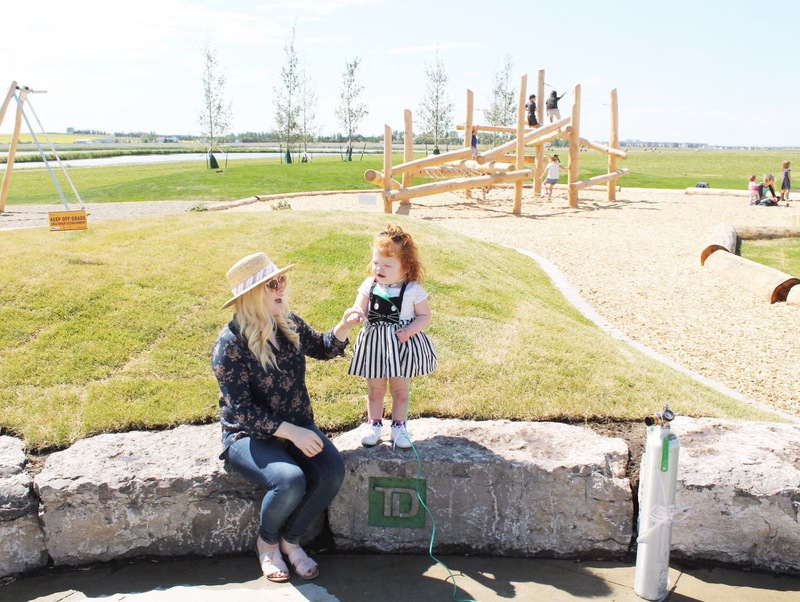 One of my favourite things about living here in Calgary (and why I’m not surprised it’s considered one of the most desirable cities to live in) is the absolutely incredible outdoor spaces that are available all over the city -- and this new natural playground built by TD is just another amazing addition to that. 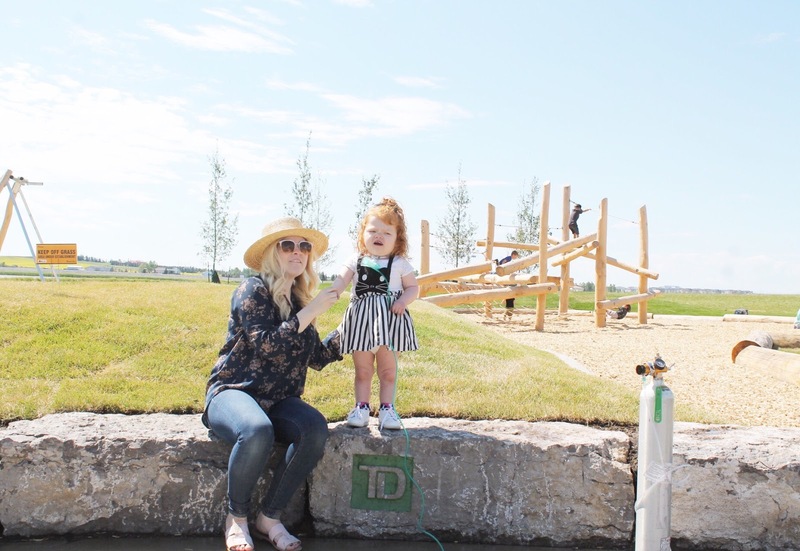 This sponsored blogpost was done in partnership with TD Bank, but the review of this playground contains opinions + thoughts that are completely my own.